St. Louis has established itself, without a doubt, as the capital of chess in America. 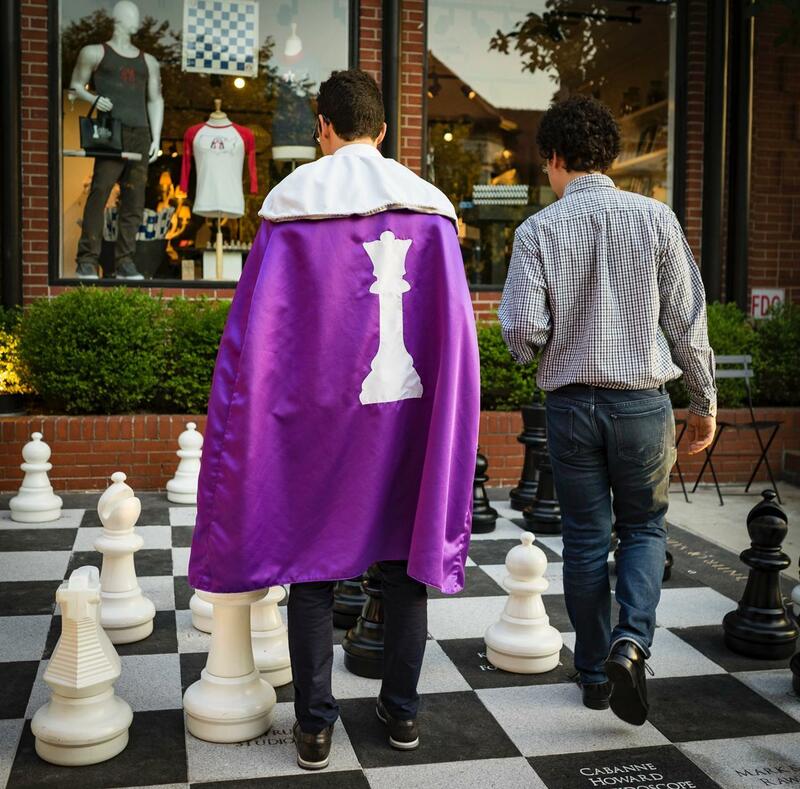 The most important series of tournaments annually, the Grand Chess Tour, has its only North American stop here for the Sinquefield Cup, and the club hosts such important events as the U.S. Championship and U.S. Women's Championship, which results in great talent migrating to St. Louis. The world's No. 4 player and America's No. 1 recently decided to move to St. Louis to live. Fabiano Caruana is definitely a super star in the chess world, and his accolades are too many to count. His most impressive result was precisely here in St. Louis, where he started with a historic winning streak of 7-0 in the 2014 Sinquefield Cup, achieving the highest rating performance ever — a record that is still unbroken. Despite the fact that most major tournaments are still held mainly in Europe, Caruana’s move to St. Louis seemed natural. “It's a great place to live for a chess player,” said Caruana, who is also the current U.S. Champion. It isn't only Caruana who is moving to the Gateway to the West. With the Saint Louis University chess team starting in a couple of weeks, three additional grandmasters will be calling St. Louis home. Darius Swiercz from Poland; Francesco Rambaldi from Italy/France and Yaroslav Zherebukh from Texas will also be frequent guests at the Saint Louis Chess Club. Alejandro Ramriez (the author, right) and Fabiano Caruano play on the giant chess board outside the World Chess Hall of Fame. The club is becoming a magnet for chess talent. Players looking to seriously improve their game are moving to the city with a high concentration of grandmasters and international masters. With the addition of Caruana, the SLU team, and Susan Polgar's Webster University team, St. Louis will have one of the highest concentrations of grandmasters in the world. Caruana is playing in the 2016 edition of the Sinquefield Cup, and has started with five draws. I asked him if he felt any pressure as he is now the “local boy,” but he said when a tournament starts, he simply focuses completely. 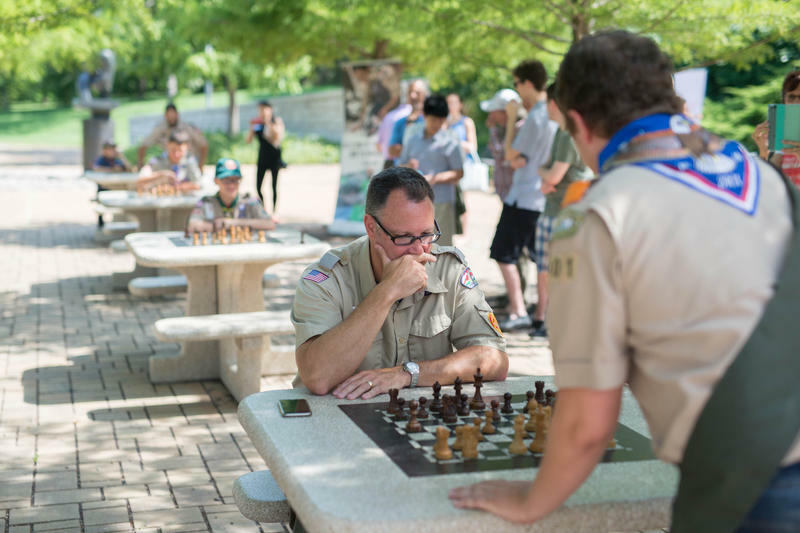 The schedule doesn't get any easier for the new St. Louisan; he will be spending some here in the city training before his next big event, representing the USA in the 2016 Chess Olympiad, which begins Sept. 1, in Baku, Azerbaijan. With Fabiano's recent transfer to the USA and as the top board, America's chances to medal are quite significant. Competition will be stiff, however, because the Russian team will be sending a very strong contingent. The reigning champions from China, are always extremely well prepared. 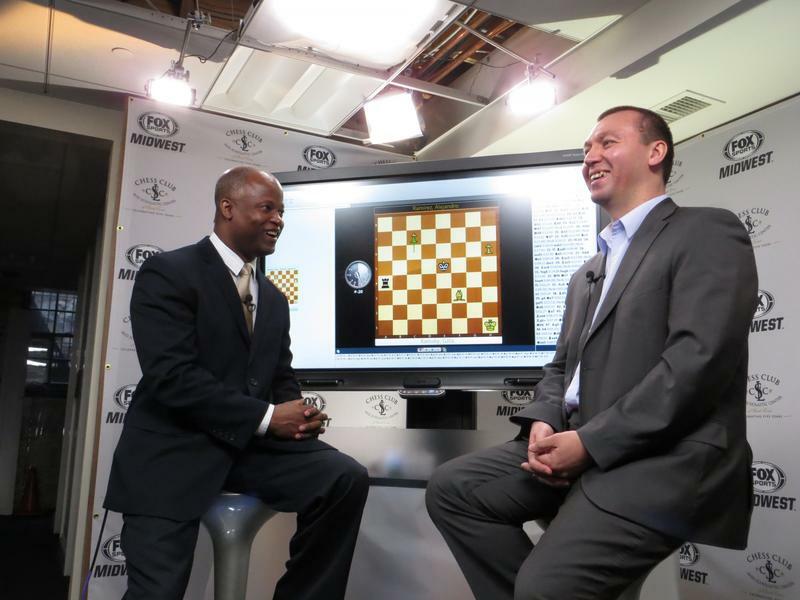 “With the revitalization of American chess, lead by America’s top-10 trio of Caruana, Nakamura and So, fans across the country will be rooting for a red, white and blue gold [medal] at the Olympiad,” said the club’s executive director, Tony Rich. Fabiano's move to St. Louis has come as no big surprise, and I would expect that many more talented youth, grandmasters and aspiring chess professionals will be making their way to the chess capital of America. On Chess is provided by the Chess Club and Scholastic Center of St. Louis. Alejandro Ramirez became FIDE Master at the age of 9, an International Master at 13, and earned his Grandmaster title by the age of 15. That achievement set Ramirez as the first Centro-American to earn the elite title and, at the time, the second youngest grandmaster. Ramirez lives in St. Louis and is the coach of the Saint Louis University Chess Team. 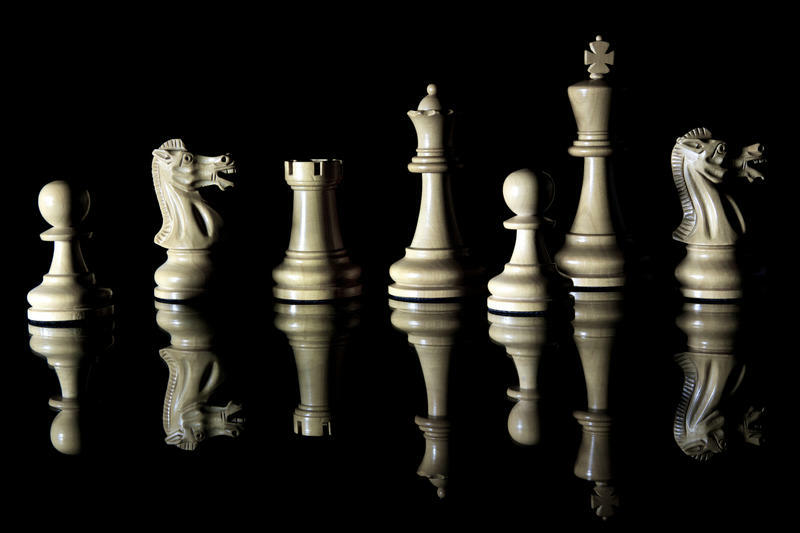 The game of chess has a rich and somewhat elusive history. Where did it come from? Who invented it? Perhaps most intriguingly: What makes it so special? Why has it continued to exist when other games have not? Achieving the grandmaster title is a huge feat. The hours spent every day studying, the days spent in airplanes, buses and airports just to travel to tournaments, the weeks spent at tournament halls, the months trying to perfect every strategy, truly are countless. There is a reason many people dedicate their entire lifetime to this sport without ever being able to reach the coveted title.